4. Exclude 20-mers with high GC: AT ratios, quad-G sequences, etc. 6. 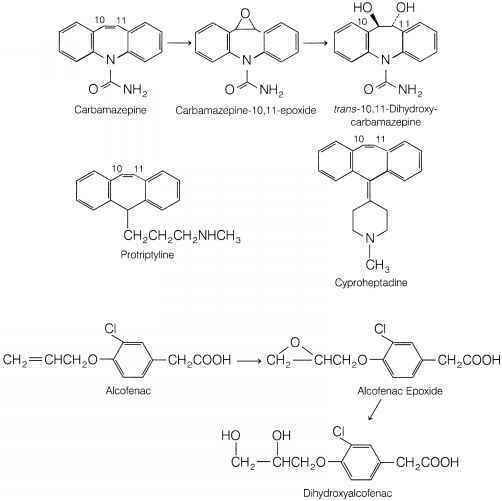 Assess efficacy by Western blots and activity assays using these rather nonspecific pharmacologic inhibitors, we chose to use antisense oligodeoxyribonucleotides (ODNs) to block the production of an essential protein component of the NADPH oxidase and thereby inhibit NADPH oxidase activity. This essentially creates an in vitro "knockout" of expression of this protein. The protein we chose to target was p4T'hox because it is required for NADPH oxidase activity in vivo as determined in humans with mutations in the gene encoding this protein.14-16 After creating and characterizing the in vitro "knockout," we then determined the effect of this knockout on 02~ production as well as on LDL oxidation. In this chapter we describe protocols for selecting antisense ODNs that can modulate NADPH oxidase activity. We also describe the requisite characteristics of antisense ODNs and how to characterize their effectiveness, using a cytochrome c reduction assay to measure 02~ production and Western blot analysis to measure effects on p47phox protein expression. Finally, we describe how we have employed antisense ODNs to identify other upstream regulatory components, namely the protein kinase C a isoform (PKCa) and cytosolic phospholipase An (cPLA2), that modulate NADPH oxidase activity in human monocytes. 14 B. D. Volpp, W. M. Nauseef, and R. A. Clark, Science 242, 1295 (1988). 15 A. W. Segal, P. G. Heyworth, S. Cockcroft, and M. M. Barrowman, Nature (London) 316, 547 (1985). 16 S. Dusi and F. Rossi, Biochem. J. 296, 367 (1993). An especially advantageous feature of the Mfold analysis of predicted secondary structure is the option to view the frequency of single strandedness of a particular base or area of the mRNA. This feature allows the user to compare, among the numerous predicted secondary structures, the frequency with which a particular base is unpaired, thereby circumventing the need to perform detailed comparisons among the several predicted structures, and instead rely on this cross-structure analysis. When using this feature it is desirable to select potential target sites from sequence stretches that are entirely or mostly single stranded. Once a single-stranded region(s) has been selected as a potential target site for antisense ODN binding, the target sequence must be analyzed further to ensure that it is unique in the database. Requirements are that it does not stably fold or pair with itself, and the overall base content and sequence must be screened to eliminate problem sequences. To determine whether the sequence is unique, the selected sequence is analyzed by BLAST (Basic Local Alignment Search Tool), a search tool available through the National Center for Biotechnology Information (http://www.ncbi.nlm.nih.gov/BLAST/). BLAST explores all the available sequence databases, using a set of similarity search programs. Once the sequence(s) has been shown to be unique, the selected sequences (usually 20-mers) are screened to ensure that they do not fold or pair with one another in stable arrangements. These latter properties can be assessed by again using the Mfold folding program. Finally, base composition and sequence are evaluated. Sequences containing runs of guanosines can form "G-quartets" that interact with proteins with greater affinity than unstructured nucleotides.21 These sequences should be avoided. We have always limited the GC content of our selected ODNs as much as possible and prefer to have approximately 50% or less GC base content and limited strings of GC base pairs. The idea behind this is that the higher affinity GC base pairing may allow for stable pairing with incomplete sequence identity. 17 J. A. Jaeger, D. H. Turner, and M. Zuker, Proc. Natl. Acad. Sci. U.S.A. 86, 7706 (1989). 18 J. A. Jaeger, D. H. Turner, and M. Zuker, Methods Enzymol. 183, 281 (1990). 19 D. H. Mathews, J. Sabina, M. Zuker, and D. H. Turner, J. Mol. Biol. 288, 911 (1999). 20 V. Patzel, U. Steidl, R. Kronenwett, R. Haas, and G. Sczakiel, Nucleic Acids Res. 27,4328 (1999). 21 J. R. Wyatt, T. A. Vickers, J. L. Roberson, R. W. Buckheit, T. Klimkait, E. DeBaets, P. W. Davis, B. Rayner, J. L. Imbach, and D. J. Ecker, Proc. Natl. Acad. Sci. U.S.A. 91, 1356 (1994). Another important issue in antisense ODN treatment is the selection of appropriate control sequences. Similar base content in jumbled order is often used as a control. Sense sequences can be used as well. When possible, another good control is the antisense ODN to a related protein, for example, another isoform of the enzyme, for example, an antisense ODN to PKC/S as a control for an antisense to PKCa.22 Usually it is desirable to use two different types of control ODN or to assess the effects of the antisense ODN on another, unrelated protein.23 An advantage of using a sense ODN as a control is that the folding, pairing, and homology analyses, performed to evaluate the antisense ODN sequence, are shared with the antisense ODN, thus obviating the need to analyze the control sequences. In contrast, scrambled or mismatched ODNs must be analyzed as described above. Antisense ODNs are susceptible to enzymatic degradation and, therefore, for experimental purposes are routinely chemically modified to prevent degradation by ubiquitous nucleases during delivery to cells.24-26 Before synthesizing the antisense it is necessary to select which modification is most appropriate for the studies proposed. Phosphorothioate modification is one of the most commonly used methods27-31 and one that we have effectively used with human monocytes in our in vitro studies for more than 15 years. This method of modification replaces the nonbridging oxygen atoms within the DNA backbone of the oligonucleotide molecule with sulfur. We originally chose this modification because it was easily attainable and did not cause nonspecific effects on monocyte viability, protein expression, or a variety of monocyte enzymatic activities. It has worked so well in human monocytes that we have continued using this modification for most of our studies even though modifications that provide greater ODN stability have been developed. 22 Q. Li, V. Subbulakshmi, A. P. Fields, N. R. Murray, and M. K. Cathcart, J. Biol. Chem. 274, 3764 (1999). 23 E. A. Bey and M. K. Cathcart, J. Lipid Res. 41,489 (2000). 24 K. J. Myers and N. M. Dean, Trends Pharmacol. Sci. 21, 19 (2000). 25 S. T. Crooke and C. F. Bennett, Annu. Rev. Pharmacol. Toxicol. 36, 107 (1996). 26 C. A. Stein and Y. C. Cheng, Science 261, 1004 (1993). 27 S. Agrawal and E. R. Kandimalla, Mol. Med. Today 6, 72 (2000). 28 L. V. Varga, S. Toth, I. Novak, and A. Falus, Immunol. Lett. 69, 217 (1999). 29 E. G. Marcusson, B. Bhat, M. Manoharan, C. F. Bennett, and N. M. Dean, Nucleic Acids Res. 26, 2016(1998). 31 C. Wahlestedt, Trends Pharmacol. Sci. 15,42 (1994). laboratory has shown that end-modified ODNs are as effective as totally modified ODNs (H. Xu, A. R. Heath, and M. K. Cathcart, in preparation, 2002). Despite substantial advances in ODN synthetic chemistry, final ODN synthetic products are usually only 75% full-length sequences.5 It is critical to perform additional purification to limit contamination by incomplete sequences that are more promiscuous in their recognition of target sequences. This service is often provided by the company that synthesizes the ODN. We prefer reversed-phase highperformance liquid chromatography (HPLC) because of its efficient and thorough elimination of incomplete sequences from the ODN preparations of 20-mers in the quantities that we usually order (1-10 /.¿mol). The ODN purification is critical for antisense ODN efficacy. 32 C. F. Bennett, M. Y. Chiang, H. Chan, J. E. Shoemaker, and C. K. Mirabelli, Mol. Pharmacol. 41, 1023 (1992). 33 J. G. Lewis, K. Y. Lin, A. Kothavale, W. M. Flanagan, M. D. Matteucci, R. B. DePrince, R. A. Mook, R. W. Hendren, and R. W. Wagner, Proc. Natl. Acad. Sci. U.S.A. 93, 3176 (1996). 34 J. Y. Legendre and F. C. Szoka, Pharm. Res. 9, 1235 (1992). 35 A. Bochot, P. Couvreur, and E. Fattal, Prog. Retin. Eye Res. 19, 131 (2000). 36 J. P. Bongartz, A. M. Aubertin, P. G. Milhaud, and B. Lebleu, Nucleic Acids Res. 22,4681 (1994). 37 T. B. Wyman, F. Nicol, O. Zelphati, P. V. Scaria, C. Plank, and F. C. Szoka, Biochemistry 36, 3008 (1997). 38 A. Bielinska, J. F. Kukowska-Latallo, J. Johnson, D. A. Tomalia, and J. R. Baker, Nucleic Acids Res. 24,2176 (1996). 39 R. Delong, K. Stephenson, T. Loftus, M. Fisher, S. Alahari, A. Nolting, and R. L. Juliano, J. Pharm. Sci. 86, 762 (1997). 40 J. P. Leonetti, G. Degols, and B. Lebleu, Bioconjug. Chem. 1, 149 (1990). 41 O. Boussif, F. Lezoualc'h, M. A. Zanta, M. D. Mergny, D. Scherman, B. Demeneix, and J. P. Behr, Proc. Natl. Acad. Sci. U.S.A. 92, 7297 (1995). 42 A. M. Krieg, J. Tonkinson, S. Matson, Q. Zhao, M. Saxon, L. M. Zhang, U. Bhanja, L. Yakubov, and C. A. Stein, Proc. Natl. Acad. Sci. U.S.A. 90, 1048 (1993). 43 S. K. Alahari, N. M. Dean, M. H. Fisher, R. Delong, M. Manoharan, K. L. Tivel, and R. L. Juliano, Mol. Pharmacol. 50, 808 (1996). 44 G. Citro, D. Perrotti, C. Cucco, I. D'Agnano, A. Sacchi, G. Zupi, and B. Calabretta, Proc. Natl. Acad. Sci. U.S.A. 89,7031 (1992). 45 G. Y. Wu and C. H. Wu,,/. Biol. Chem. 267, 12436 (1992). 46 P. H. Watson, R. T. Pon, and R. P. Shiu, Exp. Cell Res. 202, 391 (1992). 47 R. Bergan, Y. Connell, B. Fahmy, and L. Neckers, Nucleic Acids Res. 21, 3567 (1993). An innate advantage of using monocytes as the cell target for antisense ODN regulation of protein expression is their characteristic rapid pinocytotic rate. Monocytes constantly sample their extracellular environment, using pinocytosis and endocytosis, as part of their duty in providing immune surveillance and antigen detection and presentation. This is one reason why monocytes may be particularly conducive to regulation by antisense ODNs and why ODNs are effective with monocytes even without delivery agents. Further, circulating monocytes are essentially in Go and are not proliferating. Therefore, they have only basal gene expression and many genes are unexpressed until the monocyte becomes activated by external stimuli. If the mRNA target is from one of these latent genes, then antisense ODN inhibition will have a more immediate impact. Also, by not proliferating, the delivered antisense is not diluted on cell division. Thus, the monocyte appears to be an ideal target cell for antisense ODN intervention. This is particularly fortuitous because these cells are essentially nontransfectable with full-length cDNAs. Although this latter problem limits experimental manipulation, the use of antisense ODNs affords new options for regulating gene expression. 48 O. Zelphati and F. C. Szoka, Jr., Pharm. Res. 13, 1367 (1996). 49 K. Lappalainen, A. Urtti, E. Soderling, I. Jaaskelainen, K. Syrjanen, and S. Syrjanen, Biochim. Biophys. Acta 1196, 201 (1994). 50 D. Wielbo, N. Shi, and C. Sernia, Biochem. Biophys. Res. Commun. 232,794 (1997). 51 B. Roy and M. K. Cathcart, J. Biol. Chem. 273, 32023 (1998). 52 Q. Li and M. K. Cathcart, J. Biol. Chem. 269, 17508 (1994). 53 Q. Li and M. K. Cathcart, J. Biol. Chem. 272, 2404 (1997). 54 M. K. Cathcart, D. W. Morel, and G. M. Chisolm III, J. Leukoc. Biol. 38, 341 (1985). 55 A. K. McNally, G. M. Chisolm III, D. W. Morel, and M. K. Cathcart, J. Immunol. 145, 254 (1990). 56 K. Kumagai, K. Itoh, S. Hinuma, and M. Tada, J. Immunol. Methods 29, 17 (1979). mononuclear cell layer is washed three times with phosphate-buffered saline (PBS). Next, contaminating platelets are removed by two centrifugations through 4 ml of bovine calf serum (BCS; HyClone, Logan, UT) after overlaying the serum with the mononuclear cells as previously described.54 Monocytes are isolated from the platelet-free mononuclear cells by adherence to 75-cm2 polystyrene tissue culture flasks (Costar, Cambridge, MA), precoated with 100% BCS and containing Dulbecco's modified Eagle's medium (DMEM) and 10% (v/v) BCS (BCS-DMEM). The flasks are incubated for 2 hr at 37° in 10% C02. The nonadherent cells are removed by washing the flasks three times with BCS-DMEM, pelleted by centrifugation at 200g, resuspended in BCS-DMEM, and plated in a separate, serum-coated flask. The flasks are allowed to incubate at 37° in 10% C02 for 24 hr. The nonadherent cells are removed and discarded, the flasks are washed three times with BCS-DMEM, and adherent cells are collected from both flasks by removing the medium and placing the cells in the presence of 0.4 mM EDTA. The flasks are incubated for 15 min at 37° in 10% C02. The flasks are then shaken and pipetting is performed to release the cells. EDTA is removed by washing the monocytes three times with BCS-DMEM. The cells are resuspended in BCS-DMEM and counted. Although these "monocytes" are cultured for 1-4 days during the course of the following experiments, we refer to them as monocytes to distinguish them from monocyte-derived macrophages, which are typically cultured for 7-10 days before use and are more fully differentiated. 57 R. B. Johnston, in "Methods for Studying Mononuclear Phagocytes" (D. O. Adams, P. J. Edelson, and H. Koren, eds. ), p. 489. Academic Press, New York, 1981. 58 E. Pick and D. Mizel, ]. Immunol. Methods 46, 211 (1981). Human monocytes are plated in six-well tissue culture plates (Costar) at a density of 2.5 x 106/ml in BCS-DMEM and treated with a 1—10 \iM concentration of antisense or sense ODNs for up to 3 days (as indicated). After the incubation period, cells are lysed with 200 ¡jl 1 of hypotonic lysis buffer [50 mM Tris-HCl (pH 7.5), 5 mM MgS04, 0.5 mM EGTA, 0.1% (v/v) 2-mercaptoethanol, 1 mM phenylmethylsulfonyl fluoride (PMSF), leupeptin (20 /xg/ml), and 0.5% (v/v) Nonidet P-40]. The cells are vortexed for 10-15 sec and cellular debri and nuclei are removed by centrifugation at 200g for 10 min. The supernatants are sonicated for 3-5 sec and then centrifuged at 10,000g at 4° for 10 min. Supernatants from these tubes are separated from pellets and 25-100 /xg of lysate protein is prepared for sodium dodecyl sulfate-10% (w/v) polyacrylamide gel electrophoresis (10% SDS-PAGE). Proteins from SDS-polyacrylamide gels are transferred to a polyvinylidene difluoride (PVDF) membrane (0.2 /xm; Bio-Rad, Hercules, CA) by the semidry method. Nonspecific binding sites on the membrane are blocked with 5% (w/v) milk in Tris-buffered saline [20 mM Tris-HCl (pH 7.4), 150 mM NaCl, 1 % (v/v) Nonidet P-40 (NP-40)] at 4° for 24 hr. Human p47/'/"u is detected with goat anti-human p47/,/",A polyclonal antibody (diluted 1:1000; generously provided by H. Malech and T. Leto, NIAID, NIH, Bethesda, MD) followed by horseradish peroxidase-conjugated rabbit anti-goat IgG (diluted 1:1000; Pierce Biochemi-cals, Rockford, IL). The protein is detected by developing the membrane with enhanced chemiluminescence (Amersham, Arlington Heights, IL). As a control, Extracellular signal-regulated kinase 1/2 (ERK1/2), a constitutively synthesized protein, is detected with rabbit anti-human Erkl/2 kinase (diluted 1:1000; Upstate Biotechnology, Waltham, MA) followed by horseradish peroxidase-conjugated goat anti-rabbit IgG (diluted 1:1000; Pierce Biochemicals). The PVDF membrane is developed as described above. After exposing cells to antisense ODNs, the extent of target knockout must be evaluated. The "gold standard" for evaluating the effect of antisense is to measure, by Western blot analysis, the expression of the protein encoded by the targeted mRNA. The Western blot is usually evaluated first; however, if a microassay for protein function exists, such a functional assay can precede the Western blot as a screen for appropriate antisense ODN treatment conditions. This approach was used in establishing the optimal culture conditions for exposure of monocytes to antisense to p47phax. After finding the optimal conditions for causing maximal inhibition of 02 production, we then confirmed that the target protein was inhibited in cells treated similarly. To determine the effective dose of <p41phox antisense ODNs required to down-regulate NADPH oxidase activity, we used an SOD-inhibitable cytochrome c reduction assay to measure C>2~ production in human monocytes treated with varying doses (1-10 fiM) and for various lengths of time (1-3 days) with antisense and sense ODNs. We determined that optimal inhibition was obtained with 5-10 ¡xM antisense ODNs when ODNs were delivered without delivery agents. We also determined that the optimal length of incubation was 72 hr with feedings of ODNs at time 0 and at 48 hr. Our results in Fig. 2 show that 5 puM p47phnx antisense ODNs significantly inhibited O2 production in human monocytes whereas the sense ODNs had no effect. This result is representative of a minimum of three similar experiments in which the effective dose range was 5-10 ¡jlM.